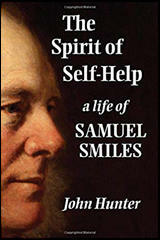 Samuel Smiles, the eldest of eleven children, was born on 23rd December, 1812. Samuel's parents ran a small general store in Haddington in Scotland. After attending the local school he left at fourteen and joined Dr. Robert Lewins as an apprentice. After making good progress with Dr. Lewins, Smiles went to Edinburgh University in 1829 to study medicine. While in Edinburgh, Smiles became involved in the campaign for parliamentary reform. During this period he had several articles on the subject published by the progressive Edinburgh Weekly Chronicle. Smiles graduated in 1832 and found work as a doctor in Haddington. Smiles continued to take a close interest in politics and became a strong supporter of Joseph Hume, the Scottish radical politician from Montrose. Hume, like Smiles, had trained as a doctor at Edinburgh University. In 1837 Samuel Smiles began contributing articles on parliamentary reform for the Leeds Times. The following year he was invited to become the newspaper's editor. Smiles decided to abandon his career as a doctor and to become a full-time worker for the cause of political change. In the newspaper Smiles expressed his powerful dislike of the aristocracy and made attempts to unite working and middle class reformers. Smiles also employed his newspaper in the campaign in favour of factory legislation. In May 1840 Smiles became Secretary to the Leeds Parliamentary Reform Association, an organisation that believed in household suffrage, the secret ballot, equal representation, short parliaments and the abolition of the property qualification for parliamentary candidates. In the 1840s Smiles became disillusioned with Chartism. Although Smiles still supported the six points of the Charter, he was worried by the growing influence of Feargus O'Connor, George Julian Harney and the other advocates of Physical Force. Smiles now argued that "mere political reform will not cure the manifold evils which now afflict society." Smiles stressed the importance of "individual reform" and promoted the idea of "self-help". 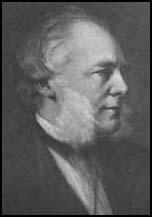 Samuel Smiles began to take a close interest in the ideas of Robert Owen. He contributed articles to Owen's journal, The Union. Smiles also helped the co-operative movement in Leeds. This included the Leeds Mutual Society and the Leeds Redemption Society. In 1845 Samuel Smiles left the Leeds Times and became secretary to the Leeds and Thirsk Railway. After nine years with the Leeds and Thirsk Railway he took up a similar post with the South-Eastern Railway. In the 1850s Samuel Smiles completely abandoned his interest in parliamentary reform. Smiles now argued that self-help provided the best route to success. His book Self-Help, which preached industry, thrift and self-improvement was published in 1859. Smiles also wrote a series of biographies of men who had achieved success through hard-work. This included George Stephenson (1875), Lives of the Engineers (1861) and Josiah Wedgwood (1894). Samuel Smiles died on 16th April, 1904. 1832 Reform Act: Parliament met on the 3rd February 1831, and on the 1st March, Lord John Russell brought forward his measure of Parliamentary Reform. The whole country was roused by this proposal. Shoals of petitions were sent in from all quarters; political unions were formed. A monster meeting was held in the King's Park, Edinburgh, at which I was present as a spectator, when enthusiastic resolutions were unanimously carried. At the close of the University Classes at the end of April, 1831, I returned to Haddington, where I found the same excitement prevailing about the Bill. Leeds Times: In 1838 I received a letter which had an important influence on my future career. It was from Mr. Bingley, reporter for the Leeds Times, and was written on behalf of Mr.Hobson, the proprietor of that newspaper. The letter was to the effect: that the prosperity of the Leeds Times had not continued since the death of Robert Nicoll (the previous editor); that the circulation had fallen off, partly through the competition of the Chartist organ, the Northern Star, conducted by Feargus O'Connor; and that, though Charles Hooton (present editor) was a most able man, he had somehow not entered freely into the political movements of the neighbourhood, and that, in short, he was about to leave, and Mr. Hobson wished to replace him with another Scotsman. Chartism: I became Honorary Secretary of the Leeds Parliamentary Reform Association. We felt that we needed to infuse some new blood into Parliament by the extension of the franchise. The ten pound suffrage introduced by the Reform Bill had only enfranchised the middle classes. Why not extend the suffrage to the industrious people - the working people. For instance, it was shown that twenty-five small boroughs, of no importance whatever, sent fifty members to Parliament, whilst Leeds, with 20,000 more population than all these boroughs combined, sent only two. Physical Force Chartism: I went to the public meeting held in New Palace Yard, on the 17th September, 1838. The object was to petition Parliament in favour of the People's Charter. The chief speaker was Feargus O'Connor, who was loud and mouthering. Richardson, his disciple also spoke. The proceedings were marred by the physical force swagger of some of the speakers. I did not much admire the London crowd. They seemed loafers and idlers, not working men. In 1839 the working people suffered much. Towards the close of the year, at least 10,000 persons were out of employment in the burgh of Leeds. Though the people complained, they did not riot. It was different elsewhere. There were riots at Birmingham, Manchester, Newcastle, and other places. At Newport, in Wales, a Chartist insurrection took place, which ended in the capture of John Frost and a number of rioters. At Bradford, men openly practised with pikes and firearms. Sixteen of them were apprehended by the police, and were sentenced to various terms of imprisonment. Feargus O'Connor himself was sentenced to eighteen months' imprisonment for inciting to insurrection and plunder in the Northern Star. Joseph Hume: From the time he took his seat in Parliament, down to the year 1841, when he offered himself to the Leeds constituency, Joseph Hume distinguished himself by his indefatigable industry. There is scarcely a page of the parliamentary register which does not contain some record of his sayings and doings. In the finances, the revenue, the excise, the public accounts, the army and navy, the representation of the people, the removal of religious disabilities, he was always at work. He was the most regular attender, the most consistent voter, the most laborious investigator, the most active and useful member, perhaps, who ever sat in Parliament. Co-operative Movement: Leeds, like other large towns, had a Socialist Hall. It was afterwards taken by the Mechanics Institute. But when I first knew it, the place was used for Socialist meetings and lectures. I went there occasionally to see what was done and said. The body had preachers or lecturers who could talk cleverly and well. Tome Paine was the writer most quoted. But unfortunately, they mixed up a great deal of atheism with their views on co-operation. It was not until the Revs. Charles Kingsley, Frederick Denison Maurice and Edward Larken, developed the practice of Christian Socialism that the co-operators were dragged out of this frightful pit. Robert Owen had been the beginner of the movement. He held that in the competitive system was found the root of all the miseries of society. The metaphysics of Socialism was comprised in the maxim that character is formed for, not by, the individual; and that society may so arrange "circumstances" as to produce whatever character it pleases. There efforts in co-operation were successful. Some of the members started an Operative Land and Building Society, others a Redemption Society. They bought land, erected dwellings, built mills, and by clubbing their means, began to manufacture, and to grind corn for themselves. Such associations were conducted under the provisions of the Friendly Societies Act, and many of them proved very successful. The Duke of Bridgewater, more than any other single man, contributed to lay the foundations of the prosperity of Manchester and Liverpool. The cutting of the canal from Worsley to Manchester gave that town the immediate benefit of a cheap and abundant supply of coal; and when Watt's steam-engine became the great power in manufactures, such supply became absolutely essential to its existence as a manufacturing town.